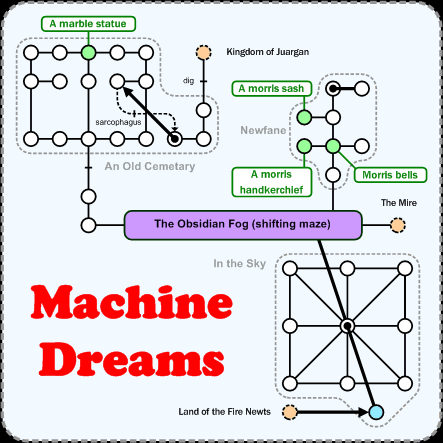 Machine Dreams, not good for much more than questing and as a trap for newbies. Most of the area is one big shifting maze. Walk ( 13e, 3s, w, s, 2w, n, 2w, 2s, se, 2e, ne, w, s, d ) to get from DH to the room marked in blue.